Even though average height of men in Pakistan is 5'8'' and of women is 5'4'', yet there are many 6 feet tall people commonly seen in Pakistan. 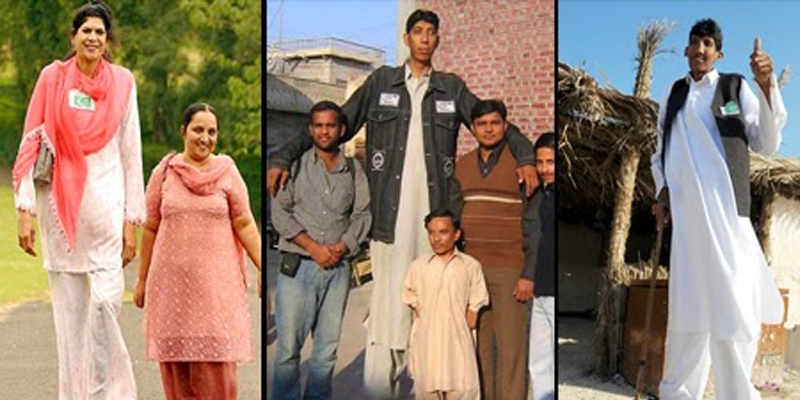 But somewhere in small towns in Pakistan, there live giants human beings who are much tall than average heights and are much tall than other people of their age. 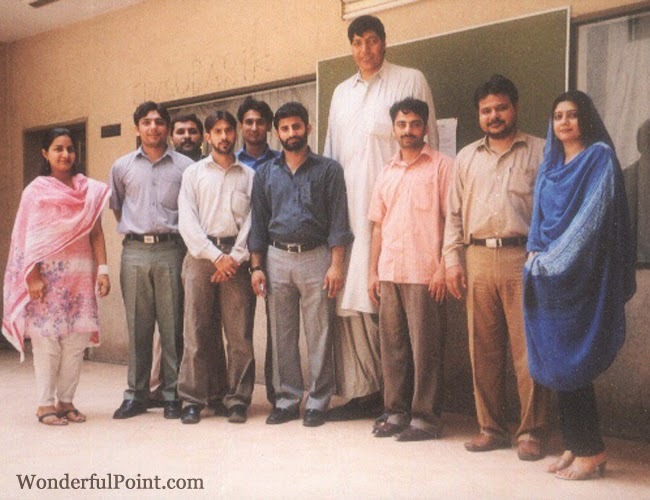 There are a number of Pakistanis who hold record for being tallest in certain categories. 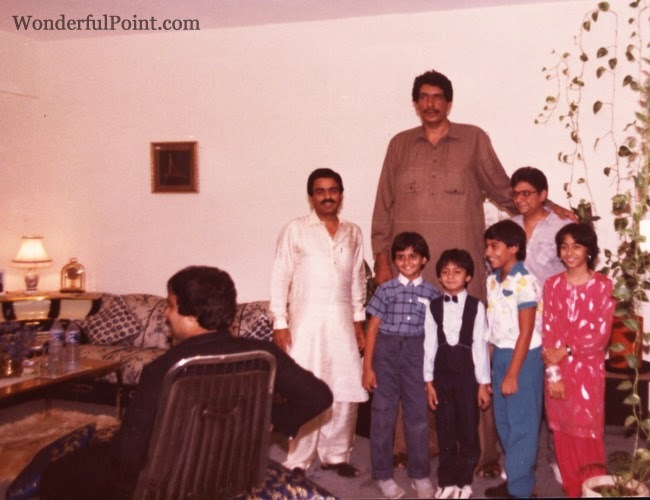 Check this of tallest Pakistanis. 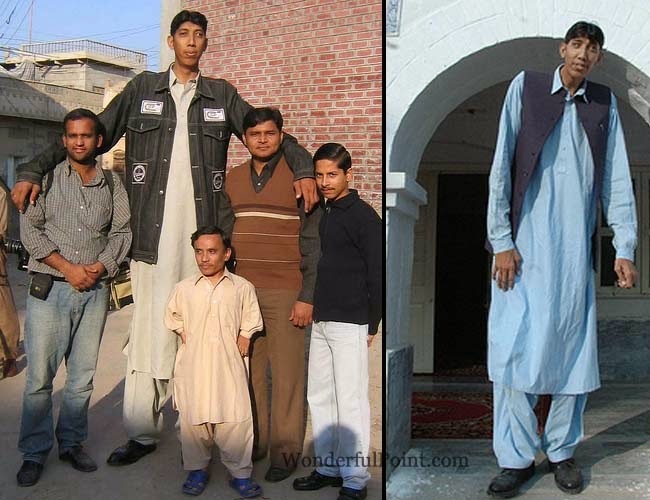 Ijaz Ahmed / Ajaz Ahmad is 8 feet 1 inch tall farmer from Daryakhan village of Punjab, Pakistan. He is the record holder of the Guinness Record for the biggest shoe size. Mr. Haq Nawaz is from Khairpur. He used to be unofficially youngest tallest person in the world (he was 7 feet 7 inch long when he was 16). He was last measured in 2007 and was found 8 feet long. As reported by Jaag TV on 05 December 2014, Naseer Soomro is 8 feet tall from Pakistan. He used to be 7 feet 8.9 inch tall in 2010. World's tallest unmarried person. 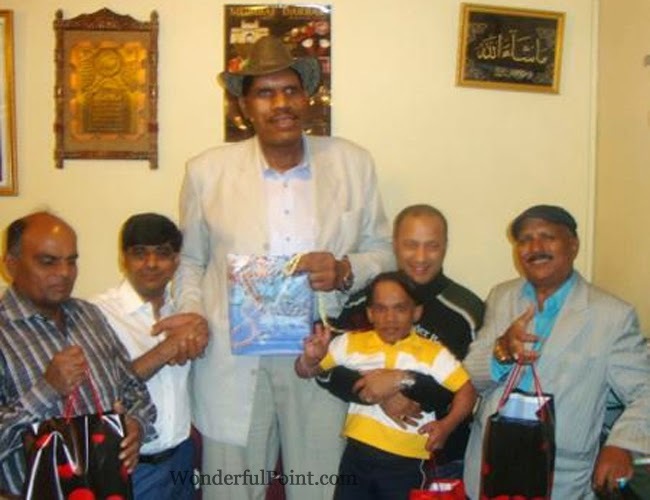 He was from Sehwan, Sindh and was record holder of the Guinness Record for World's Tallest Man alive in 1997. Azad Khan is from Saraoogha, Dera Ismail Khan district, KPK, Pakistan. 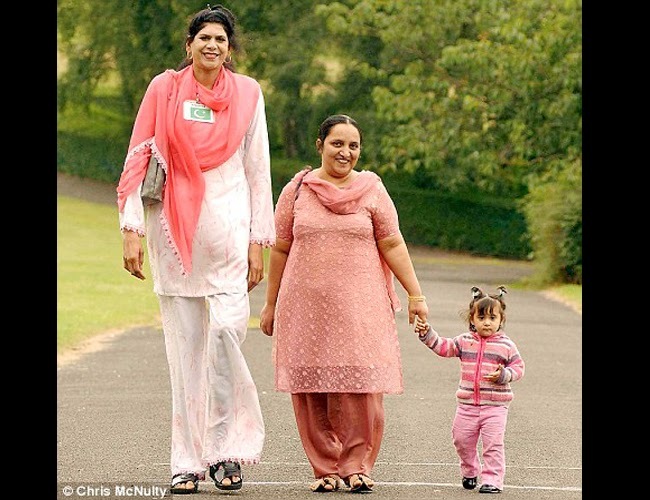 Zainab bibi is a 7 feet 2 inch, tallest woman of Pakistan and a former world's tallest woman. She is basically from Mandi Rajana, Punjab, Pakistan. She was given asylum in England in 2009. Ghulam Shabbir is from Sangra town near Faisalabad. He used to work in his family farms, later he was chosen for a number advertisements for international brands. He used to be world's tallest model. He was born in Burewala, Punjab and plays cricket for Pakistan. 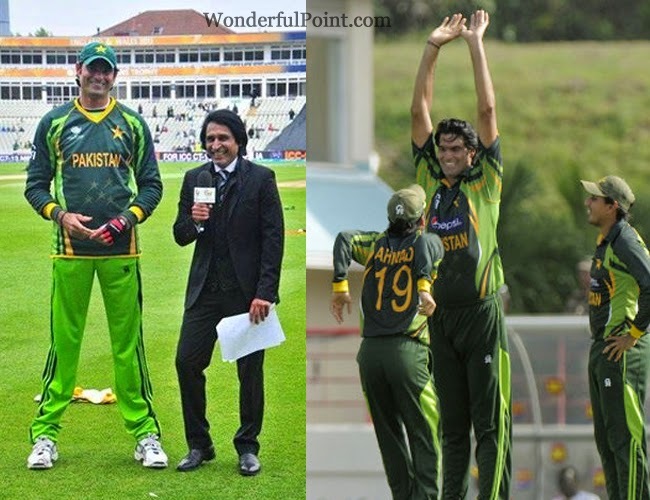 He is world's tallest cricket player to play international cricket.